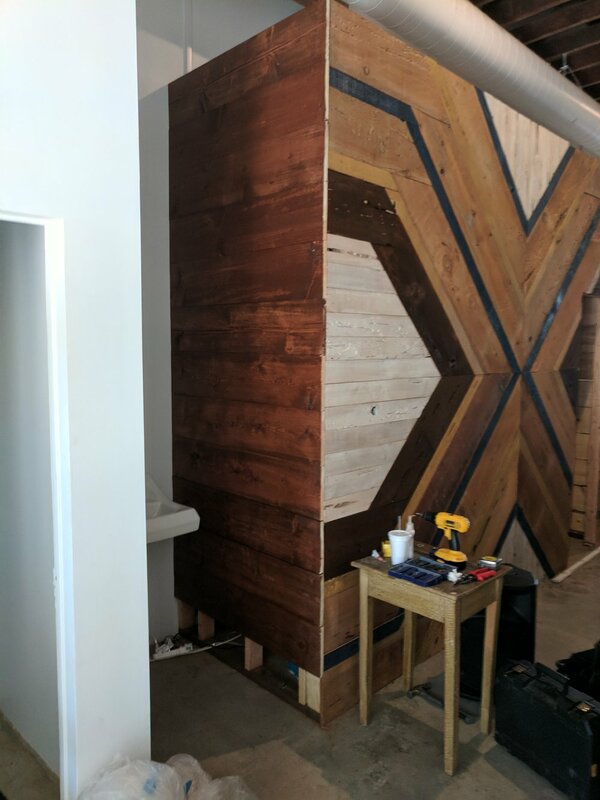 If you need an office or retail entrance that is unique and eye-catching, a space that needs something special or a wall that needs attention, Andrew Pisula has worked with various businesses and private collectors to draft and craft a custom installation. As a private collector, business owner, interior designer architect or general contractor, you have a vision and Vagabond Carving can work with you in a variety of ways. You can choose an existing piece from the portfolio and Andrew will customize to your specifications including color and dimensions. Share an inspiration, sketch or drawings of the space and Andrew will design and build a custom installation to spec for a home or business. 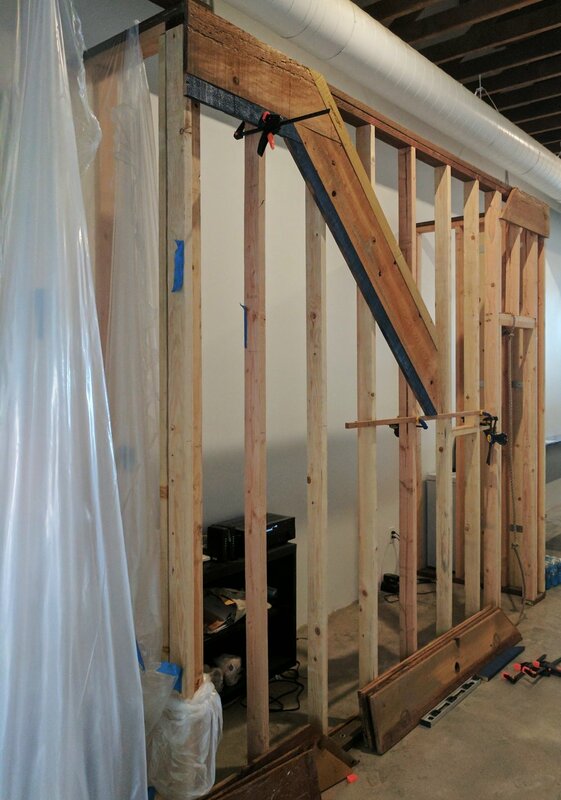 Custom designed reception desk and wall for The Hangout office entry.